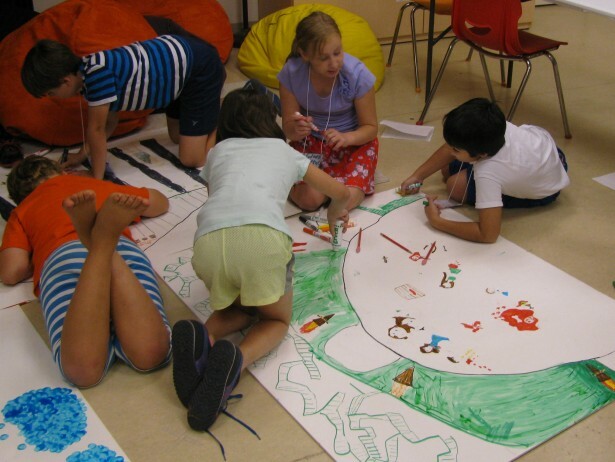 The Trout Gallery Education Program provides lively, cross-disciplinary museum programs to Pre/Elementary classes. 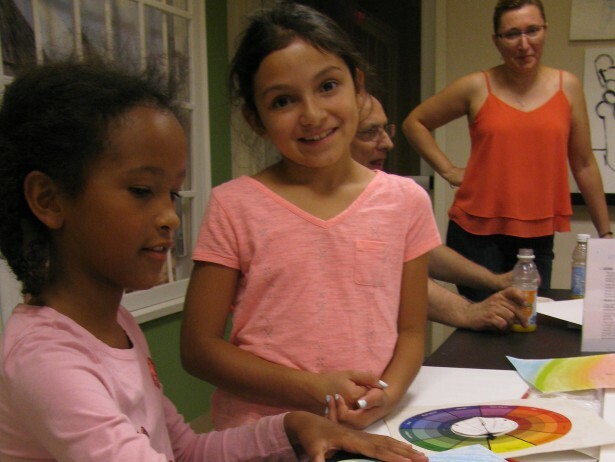 The programs encourage creativity and learning through meaningful encounters with art and cultural artifacts, and through participation in age-specific group activities and hands-on projects. Class size limited to 28 students. With the exception of programs offered in collaboration with area partners (CALC, Carlisle Parks and Recreation Department), all progrmas are offered free of charge. The Trout Gallery has limited funds to pay for bus transportation for groups. Please inquire while making a reservation. Due to a current staff vacancy, we are unable to offer K-8 school programs for our Spring exhibitions. 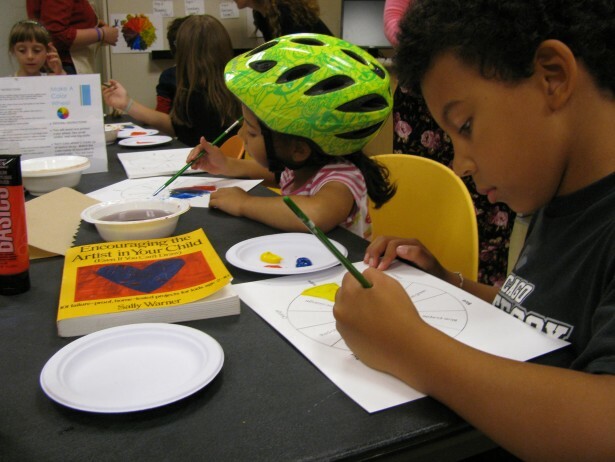 School'sOut/Art's In and ESL/Bilingual programs will continue be offered. We expect to resume K-8 school offerings beginning in June. 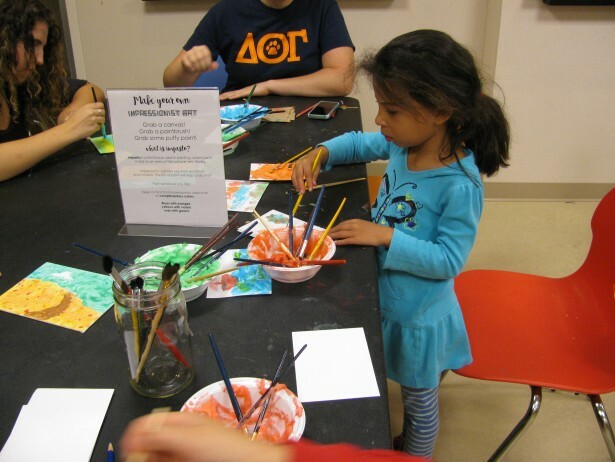 The Trout Gallery offers award-winning programs that combine art and language to promote language acquisition and cultural appreciation. Language learning classes are available in Spanish, French, German and Italian. Please contact us to learn more about bilingual tours, ESL offerings, and language learning programs for your group.